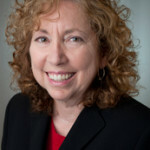 Pam Sklar, M.B.A. has over thirty years of human resources management experience in both the private and public sector. She is currently a Professor at the Kelley School of Business at Indiana University, Bloomington, where she teaches Labor Relations, Human Resources Management and Business Communications. Her background includes seventeen years as Director of Human Resources at a large school district, as well as a municipal government in Indiana. Her eighteen years of private sector background includes the entertainment industry, banking and manufacturing. Pam has extensive experience in recruiting, staffing, training, labor/employee relations, compliance, compensation, benefits, employee development, equal employment opportunity, and diversity. Her career spans all facets of human resources management in a number of industries which has led to providing consulting services for diverse organizations in the private and public sector. Her philosophy is one that values best practices in human resources management, and training which relates to any organization regardless of size, workforce, products or services. Her services often include executive and team coaching, learning and training, organizational development, labor negotiations and resolution of employee relations, and disciplinary issues. She is a frequent speaker and has served on a number of industry related task forces. Ms. Sklar’s combination of many years of practical experience, developing and delivering human resources management, and business curriculum as a university faculty member provides a unique combination of skills and expertise. Ms. Sklar earned her B.A. in Sociology from California State University, Northridge and her M.B.A. from Pepperdine University.